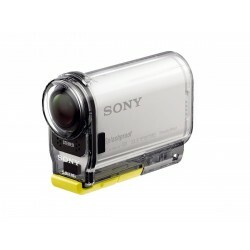 This bundle from Sony pairs the HDR-AS200V/R Action Cam with the RMLVR2 watch-style remote control w.. Secure, stable, over-lens fit AKA-HLP1protects your lens against scratches and dirt.AKA-HLP1's ultra.. Introducing 4K recording plus 120 fps Full HD slow-motion capture to the Action Cam line is the HDR-.. This bundle from Sony combines the FDR-X1000V 4K Action Cam with the wrist-worn RM-LVR2 Live View Re..
Relive every bump, jump and descent from the ultimate perspectiveÃÂÃÂÃÂÃÂ¢ÃÂÃÂÃÂÃÂÃÂ.. Ever wonder what it feels like to catch a Frisbee in your mouth? Strap the Action Cam onto your dog'.. 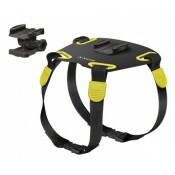 The Sony Chest Mount Harness is a chest harness for the Action Cam POV camera allowing you to shoot ..
See the world from your dog*ÃÂÃÂÃÂÃÂ¢ÃÂÃÂÃÂÃÂÃÂÃÂÃÂÃÂs point of view with the.. The compact Sony HDR-AS100V POV Action Cam is designed for point-of-view (POV) shooting during actio..
With an included ruggedized, waterproof case, this Sony POV HDRAS20/B action camera enables you to t.. 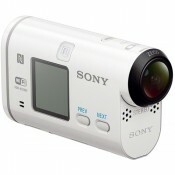 The versatile Sony HDR-AS200V Full HD Action Cam is designed to go wherever you do - whether on a mo..
Snorkeling the reef? Shredding the slopes? Get a unique view with the Action Cam wrist mount. The ba..